On December 6, 1847, Dr. William White spoke to a group of Atlanta residents about a proposal to move the state capital to Atlanta and was met with cheers. 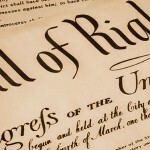 The Thirteenth Amendment to the United States Constitution was ratified on December 6, 1865, when Georgia ratified the Amendment outlawing slavery. The Washington Monument was completed on December 6, 1884. On December 6, 1932, the legislation repealing Prohibition was introduced by Senator John Blaine of Wisconsin. It was ratified on December 5, 1933. Georgia never took action on the Amendment. Governor Nathan Deal addressed the Albany Area Chamber of Commerce, according to the Albany Herald. Tuesday night the Albany Area Chamber honored Deal and First Lady Sandra Deal for their steadfast leadership of Georgia during the chamber’s inaugural Governor’s Dinner. It was only fitting that the governor touched upon Hurricane Michael in his opening remarks. Deal reminded the crowd he had called for a special session of the General Assembly to provide relief funding and spur economic recovery for areas most heavily affected by Hurricane Michael. Lowndes County voters sided with the GOP candidate for Secretary of State, according to the Valdosta Daily News. 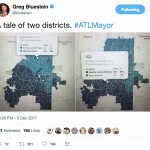 Brad Raffensperger, a state lawmaker from suburban Atlanta, defeated former Democratic congressman John Barrow to become Georgia’s top elections official, the office vacated by Gov.-elect Brian Kemp. Statewide, Raffensperger took 756,083 votes, or 51.97 percent of the total, against Barrow’s 648,847 votes, or 48.03 percent of the total, according to the Georgia Secretary of State’s website. In Lowndes County, Raffensperger gained 6,313 votes, or 60.46 percent, against Barrow’s 4,128 votes, or 39.54 percent, said Deb Cox, county elections supervisor. [Chatham County Board of Elections employee Russell] Bridges said absentee ballots had to be postmarked by today and reach the registrar’s office by Friday. “We sent out 4,000,” Bridges said. The Democratic Party of Georgia had sued Georgia’s Secretary of State stating absentee were not mailed to voters from over 60 counties until the last week of November. That left only seven days for voters to return the ballots. More than 11,000 Glynn County residents showed up at the polls Tuesday to cast their ballots in the runoff election races. The Glynn County Board of Elections office counted 11,129 votes cast, which is nearly 21 percent of the county’s registered voters. About 3,780 ballots were cast in person during early voting, said Chris Channell, assistant supervisor of the local Board of Elections. Absentee ballots are still trickling in to the local Board of Election office, Channell said, and will be accepted until Friday if postmarked for Dec. 4. During early voting, which began Nov. 26 and wrapped up Nov. 30, board of elections officials counted 721 absentee ballots coming in. Neither Raffensperger nor Eaton, however, carried Henry County, a county that went blue during this election. Barrow carried Henry with 53.36 percent of the vote, or 18,652 votes as of Wednesday afternoon, while Miller carried the county with 54.08 percent of the vote, or 18,829 votes as of Wednesday. The Secretary of State and Public Service Commission races were the only two races on Tuesday’s ballot, as all other races – including every Henry County-specific race — had been decided on Election Day. Turnout for the Tuesday runoff surpassed turnout in recent general election runoffs. Henry County saw a turnout of 22.68 percent as of Wednesday afternoon. “The turnout for the runoff was twice as many as the May 2016 general primary and more than the May 2018 general primary,” she said. Lunsford said previous runoffs had turnouts ranging from 4 to 9 percent. John Barrow and Lindy Miller, the Democrats who came up short in Tuesday’s statewide runoffs, each conceded their losses Wednesday. Miller, the Democratic nominee for a Georgia Public Service Commission seat, admitted her runoff loss to incumbent Chuck Eaton on Wednesday but said her run had raised the profile of the commission, which regulates the state’s utilities, including the nearby ongoing expansion at Plant Vogtle. “Almost 1.5 million Georgians came out to cast their ballots for this race for a third time. We saw unprecedented historic turnout for a runoff election,” Miller said. Meanwhile, work continues at the two new nuclear reactors at Plant Vogtle, according to the Augusta Chronicle. The placement of a massive “ring” in a steel containment vessel and the last cooling pump for a new reactor are signs of continued progress on two new nuclear reactors at Plant Vogtle, a spokesman for Georgia Power Co. said. The site is already the state’s largest construction project at more than 7,000 workers but is continuing to hire, spokesman Jeff Wilson said. “We continue to make significant progress there at the site,” Wilson said. “We are still on track for the commercial operation dates of November 2021 and November 2022″ for Units 3 and 4, respectively. He said collectively the two projects are now 71 percent complete. A Special Election to succeed the late State Rep. John Meadows (R-Calhoun) has attracted four candidates, according to the Dalton Daily Citizen. Four Gordon County residents, including one who narrowly lost a bid to unseat Chuck Payne in the Georgia Senate District 54 Republican primary earlier this year, qualified Wednesday for the state House of Representatives seat left vacant after the death of Rep. John Meadows. The special election for the District 5 seat is Jan. 8, 2019. A runoff, necessary if no one receives more than 50 percent of the vote, would be Feb. 5. District 5 comprises parts of Gordon and Murray counties. Matt Barton, Larry Massey Jr., Scott Tidwell and Jesse Vaughn qualified with the Secretary of State’s office for the seat Meadows held since 2004. Meadows, the chairman of the House Rules Committee, died of stomach cancer in November. He was 74. All four candidates are registered as Republican. Qualifying began Wednesday and continues today from 9 a.m. to 5 p.m. and Friday from 9 a.m. to 1 p.m. at the Secretary of State’s office in Atlanta. The qualifying fee is $400. Macon-Bibb County revised its alcohol ordinance, according to the Macon Telegraph. Macon liquor stores will be able to stay open later after an extensive update to the county’s alcohol ordinance was approved Tuesday. The extended hours were added to the code in response to some of the increased costs for alcohol licensing fees some business owners will pay. Macon restaurant and bar patrons, however, will not have a slightly higher bill because a new tax on liquor was removed from the measure. Commissioner Virgil Watkins, who sponsored the updated ordinance, said the new fees will bring Macon closer to the state average, and more revenue will help bring more resources to a struggling business license department, he said. An initial proposal to charge a 3 percent tax on liquor sold for on-site consumption was removed from the measure. (The tax would not have impacted beer or wine sales). Brad Freeman was elected Sheriff of Monroe County in the runoff election on Tuesday, according to the Macon Telegraph. Brad Freeman beat Lawson Bittick on Tuesday to become the next sheriff of Monroe County. With all precincts counted, Freeman had 4,016 votes, or 56 percent, to 3,101 votes, or 44 percent, for Bittick. The turnout was 39 percent. Bittick, a lieutenant in the sheriff’s office, was bidding to follow in the footsteps of his father, grandfather and great-grandfather to serve as Monroe sheriff. Freeman, a captain in the sheriff’s office, worked for 32 years under Bittick’s father, who resigned earlier this year to become U.S. marshal for the Middle District of Georgia. During the runoff campaign, Bittick, 30, advocated for increasing the investigation division of the sheriff office while Freeman, 54, put more emphasis on increasing patrols. In the general election held Nov. 6, Bittick was the top vote getter in the 6-way race with 3,937 votes, or 31 percent. Freeman was second with 2,974 votes, or 24 percent. With it being a special election to fill an unexpired term, Freeman will take office as soon as the election is certified and he is sworn in. He would then be up for election again in two years. The City of Hahira is considering hiring consultants to help prioritize projects to be funded under the next Special Purpose Local Option Sales Tax (SPLOST), according to the Valdosta Daily Times. Statesboro adopted a new marijuana policy that will prevent the jailing of people accused of possessing small amounts, according to the Statesboro Herald. Effective Jan. 1, misdemeanor marijuana possession in Statesboro will be punishable by at most a $500 fine or equivalent community service, with no jail time, when prosecuted in the Statesboro Municipal Court. Under state law, which will still apply in Bulloch County State Court and Superior Court, the penalty for possession of up to 1 ounce of marijuana is a fine of up to $1,000 and up to one year in jail. City Council enacted the new ordinance by a 5-0 vote Tuesday morning, after hearing from speakers on both sides of the issue. Mayor Jonathan McCollar and the council also heard Chief of Police Mike Broadhead express concern that, if the Statesboro Police Department is directed to cite only under the city ordinance, this will excessively restrict officer discretion. His “show and tell,” involving bags of actual marijuana, suggested that there are cases where less than an ounce represents something other than possession for one’s own use. Councilman Sam Lee Jones, when he initiated City Council’s discussion of marijuana in June, referred to decriminalization at first. But the discussion even then turned to a “cite and release” approach, and Broadhead expressed support for this as a means to free up officer time for other police work. The previous approach requires booking misdemeanor possession suspects into the county jail. The goal that Jones and other council members have invoked most often for creating a cite-and-release ordinance is giving young offenders a second chance without creating a record in the state’s court system. Leesburg City Council Member Debra Long resigned her seat, according to the Albany Herald. The Georgia Division of Family and Children Services is rolling out a new “panic button” for their field staff, according to the Gainesville Times. On Monday, the Georgia Division of Family and Children Services went live with a phased rollout of a new security system by distributing to child-welfare investigators and case managers “panic buttons” that connect to the Click Safe mobile phone application. When pressed, the button on a key fob transmits a signal via Bluetooth to a phone app on the worker’s state-issued mobile device. The phone then silently notifies the agency’s call center where a trained operator contacts the nearest 911 center with details on the alarm, a description of the employee, the location and a request to rush law enforcement officers to the scene. The system operates silently and out of sight to keep from alerting anyone threatening a case worker that law enforcement is responding, which could make a tense situation even more dangerous. Engineers at the Georgia Tech Research Institute developed the system at the request of Gov. Nathan Deal. Three new Henry County Magistrate Judges were sworn in, according to the Henry Herald.